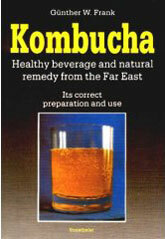 You will receive complete step by step simple instructions, an Organic Probiotic Kombucha Culture in starter tea. Use the Kombucha mushroom culture starter to easily make a sparkling refreshing fermented healthy well-being drink that is detoxifying, alkalizing and energising. 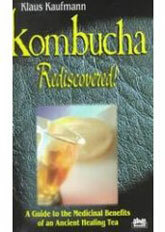 It is so easy to make, just place the Probiotic Kombucha Mushroom culture in to a sweet tea infusion and leave it. A couple of weeks later the tea will have transforms into a wonderful tasting slightly fizzy fermented health drink. The sugar is broken down and converted into different components of the finished drink. Kombucha is very cheap to make - Being so beneficial you would think that Kombucha would be expensive, but it is in fact extremely cheap. Just use the equipment and utensils in your kitchen. In fact you can probably make a years supply for the price of a bottle of cough medicine…and it takes only minutes to make enough for the whole family! The tea was tested by the German Army (1967) and found to increase stamina and reduce muscle pain and fatigue (200mls 3 daily). Its DR. G. Simon found it “a purely biological strengthening product … increases high performance sporting achievements”. Kombucha is said to aid assimilation and promote circulation of blood and Chi (energy) in the body. Scientific research shows that Kombucha's high concentration of probiotic-rich acids can provide a powerful energy boost, balance body ph, detoxify and cleanse the blood of disease-causing toxins. Why do people drink Kombucha tea? The health benefits of Kombucha tea may also aid the body to alleviate a wide spectrum of ailments and conditions; from the mildest indisposition to the most serious diseases. Many people who regularly drink Kombucha tea have found tremendous relief from a very wide range of diseases and ailments. A large percentage of people who drink Kombucha are not sick at all but they want to stay that way. If you are generally healthy and drink Kombucha then you will probably notice an increase in energy levels and more concentration… not the same type energy boost that you get from softdrinks or sugar. Kombucha can actually help your body to extract more energy from the food you eat. However, if you are generally unhealthy, Kombucha may detoxify you're your body first, causing you to feel sluggish…let your body detoxify first. With modern living comes poor diet and an increase in harmful substances in our bodies. You might have heard about people going on a "de-tox" diet. This is when they eat food which will drive out impurities from their bodies. A great idea but, how many people do it regularly? Kombucha is a powerful detoxifier so, regular drinking of it will be extremely beneficial. You may just feel 'sluggish' or 'just not right' it is because of the toxins in your body - get rid of them and improve your health. 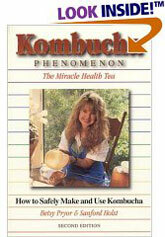 One of the other great effects that Kombucha drinkers have found is that they very often are in a better 'mood'. This increase in the feeling of well being is much welcomed by everyone. 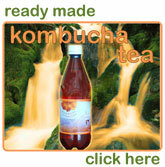 Get your Kombucha Culture now and get started!! !